Sembratovych, Roman [Сембратович, Роман; Sembratovyč], b 6 July 1875 in Monastyrets, Lisko county, Galicia, d 8 January 1906 in Vienna. Journalist and publicist. As a law student at Vienna University he was a leading member of the Sich student society of Vienna. He became a regular contributor to various German and Austrian newspapers, for which he reported primarily on developments in Galicia (initially using the pseudonym Galizischer Slave). 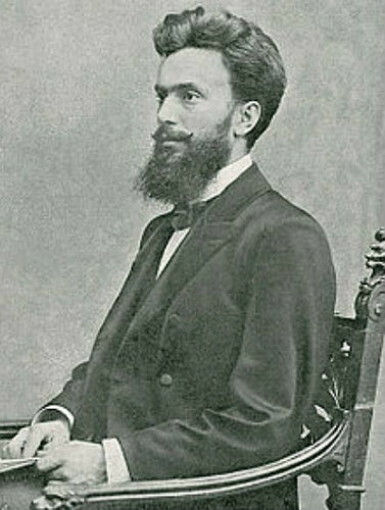 In 1901 he founded the weekly X-Strahlen to inform the German and especially the Viennese public about Ukrainian affairs. After the paper folded at the end of that year, he became the Vienna correspondent of Frankfurter Zeitung. In late 1902 he published the book Polonia irredenta, in which he severely criticized Polish chauvinism and conservatism. 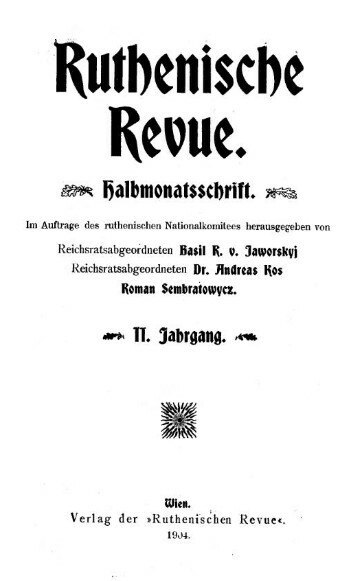 From 1903 to his death Sembratovych was editor of the semimonthly Ruthenische Revue in Vienna. In 1905 he published a second book, Das Zarentum in dem Kampfe mit der Zivilisation, on the tsarist repression of the Ukrainian national movement and culture.